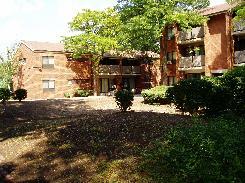 is recognized by the U.S. Department of Housing and Urban Development as a high performing public housing authority. For over 35 years, the Summit Housing Authority has provided housing to low and moderate income families in well maintained and attractive properties. The mission of the Housing Authority of the City of Summit is to provide safe, affordable and decent housing to low and moderate income families and seniors. All funding for the Summit Housing Authority comes from the U.S. Department of Housing and Urban Development (HUD). The taxpayers of Summit do not fund public housing.The Summit Affordable Housing Corporation (SAHC) is a non-profit organization affiliated with the Summit Housing Authority whose mission is to identify emerging housing and community development resources and to develop affordable housing in the City of Summit.